As Verizon customers, this Carrier IQ fiasco isn’t something that you necessarily need to worry about. Big Red has made it clear that they do not use the software to track data, unlike the other major U.S. carriers: AT&T, T-Mobile and Sprint. Are they using some other type of tracking software? That’s anyone’s guess, but until it’s proven that they do, we will do our best to not jump to conclusions. For those of you that are curious about CIQ and whether or not your phone has the software installed, an app has been created that will run a simple test to check (not reliable though?). 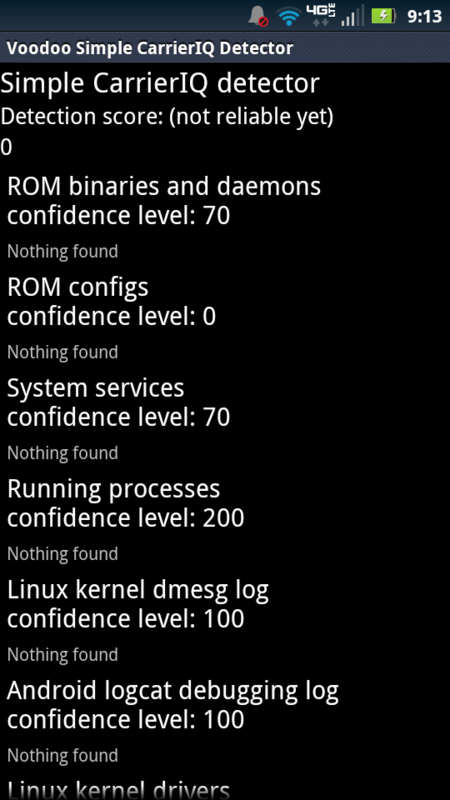 As you can see in the picture above, my HTC Thunderbolt came back with a score of “0” meaning there were no traces of CIQ software found. 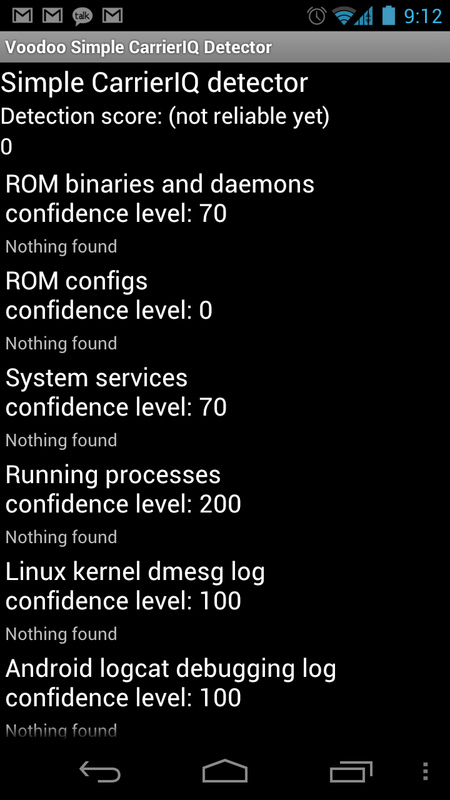 Down below, I also ran the test on my RAZR and Galaxy Nexus – both returning with scores of zero. So if you have any friends with non-Verizon phones, be sure to let them know that this app is available for them to test with. 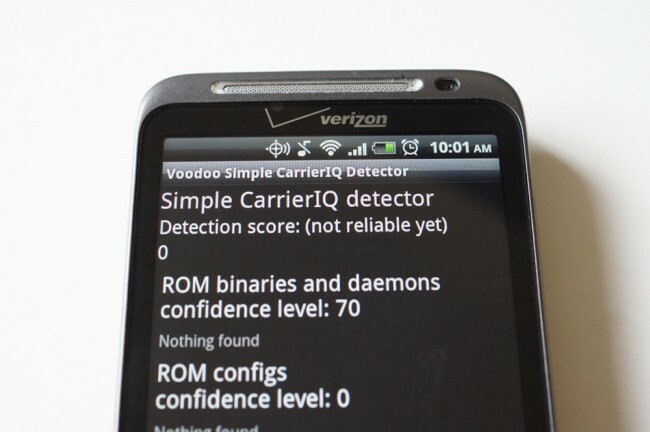 And if it does come back a detection score greater than zero, that they may want to consider tossing on a customer ROM that has removed CIQ software. Anyone else ready for this to be over with?